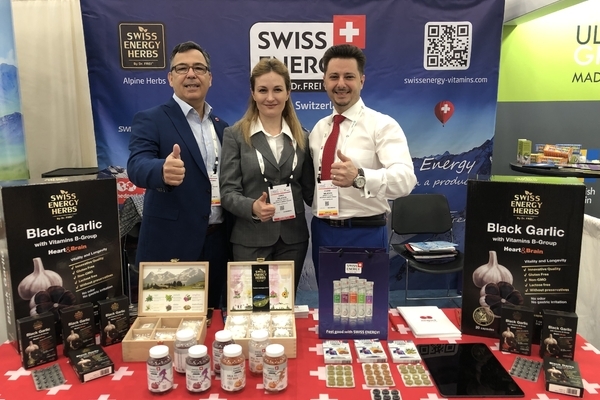 SWISS ENERGY vitamins, minerals and supplements have been specially developed by Swiss Energy Pharma GmbH, Switzerland, taking into account recommendations of the leading health care specialists. 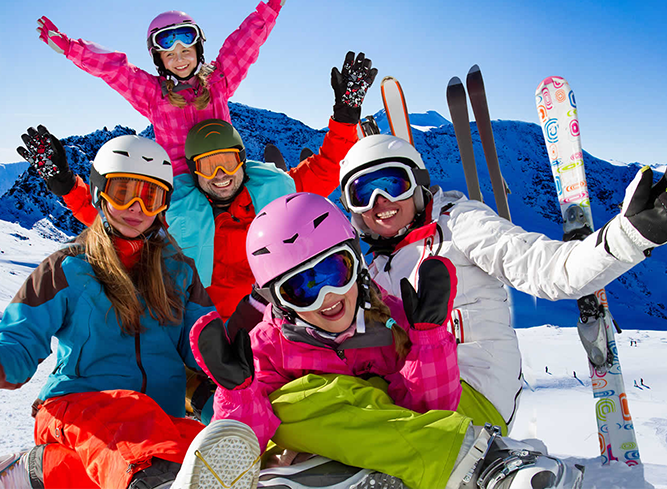 Innovative form favors a better absorption of active ingredients and better tolerability in daily diet. Optimal balance of ingredients necessary for organism well-being. 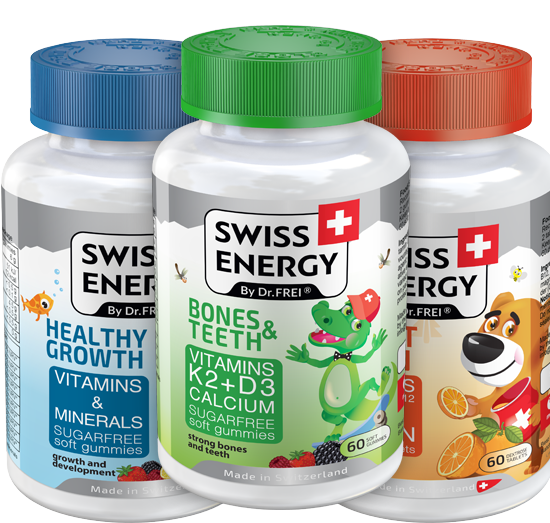 This range of products delivers nutritious key vitamins and essential minerals for healthy growth, proper development and a stronger immune system. Delicious toffees for both children and adults with quickly absorption of the active ingredients. 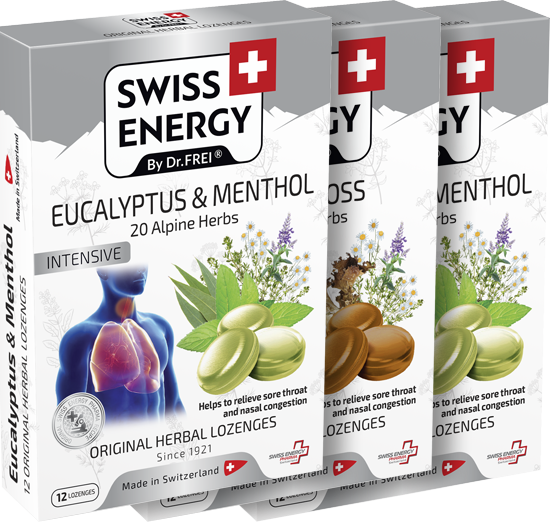 Made with the finest Swiss traditions by the original Swiss recipe with 20 different herbs. Black Garlic is a key to Longevity and Vitality! 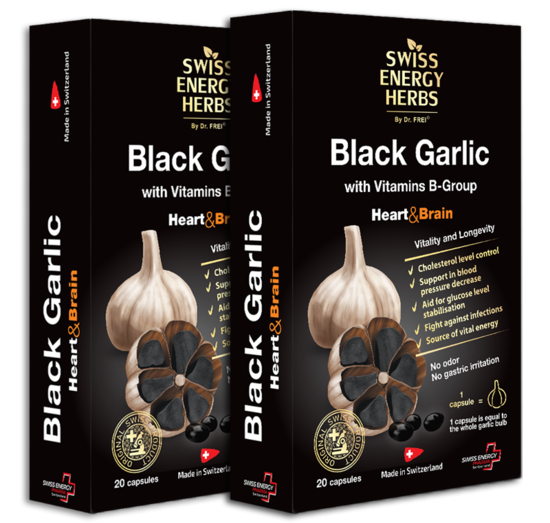 Black Garlic capsules contain high-quality special black garlic extract with valuable B vitamins that help to maintain all vital body functions. 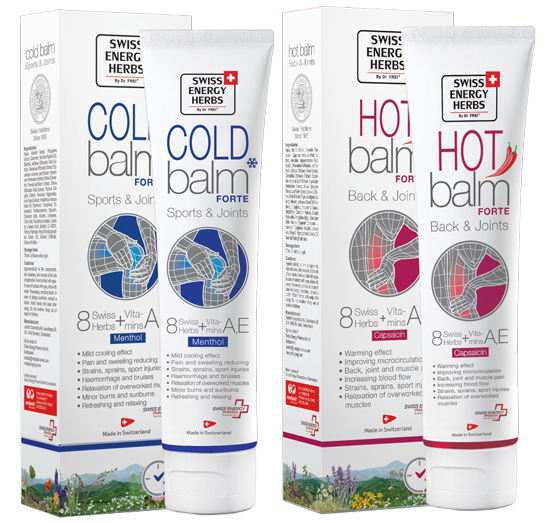 100% natural based products that contain the most efficient herbal extracts and can be used in case of diseases of joints, bones, muscles etc. 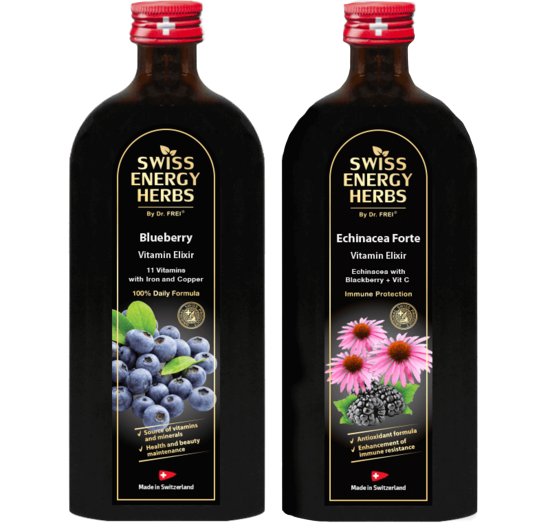 The source of 100% natural origin vitamins, minerals and bioactive substances to support general health and active lifestyle. 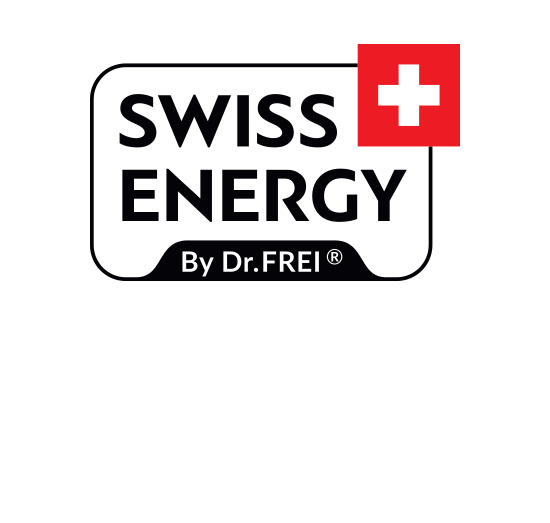 have been developed by Swiss Energy Pharma GmbH, Switzerland, especially for Dr.Frei trade mark. 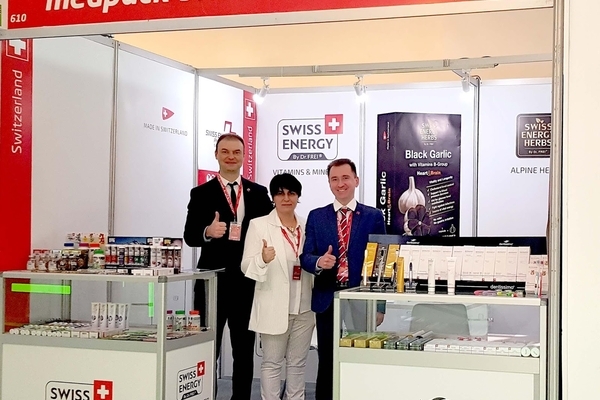 In an effort for a daily, optimal health care Swiss Energy Pharma GmbH uses high quality ingredients in the manufacturing of Swiss Energy vitamins. 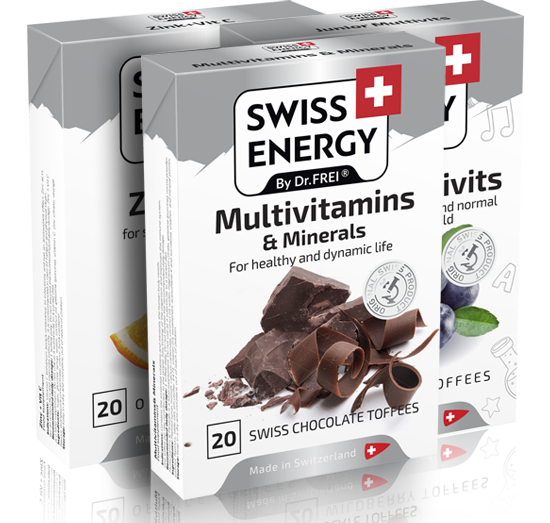 Swiss Energy vitamins are important components of an active life. They compensate the lack of nutrition, being useful for prevention of diseases, and are necessary going in for sports. 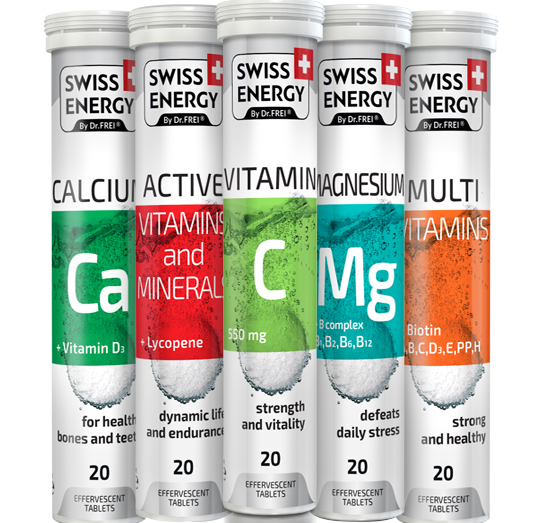 They also help to maintain an optimal level of health and energy in extraordinary situations such as stress at work or at a very intense rate of life..
Swiss Energy is a range of science-based nutritional supplement products, primarily made from branded and thoroughly researched ingredients, manufactured according to the international quality standards, and thoroughly tested at every stage of the production cycle — from raw materials to finished product. We use only GMP-certified manufacturing facilities that have passed our rigorous requirements — and monitor every product throughout the production cycle to ensure if it meets the highest quality standards. 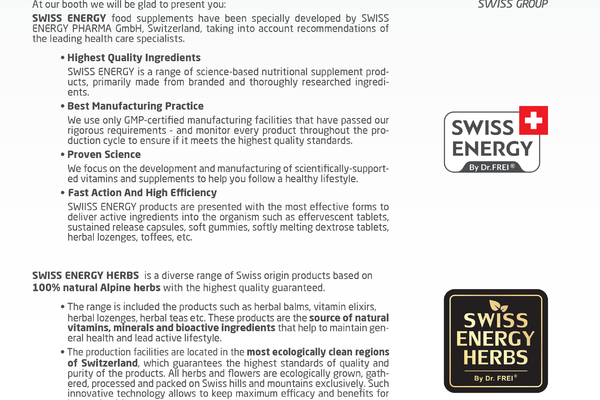 We focus on the development and manufacturing of scientifically-supported vitamins and supplements to help you follow a healthy lifestyle. We collaborate with nutritional scientists who are developing new ingredients and we study their clinical findings to determine the most effective way to provide the desired results. Effervescent tablets is the one of the most effective form to deliver active ingredients into the organism. 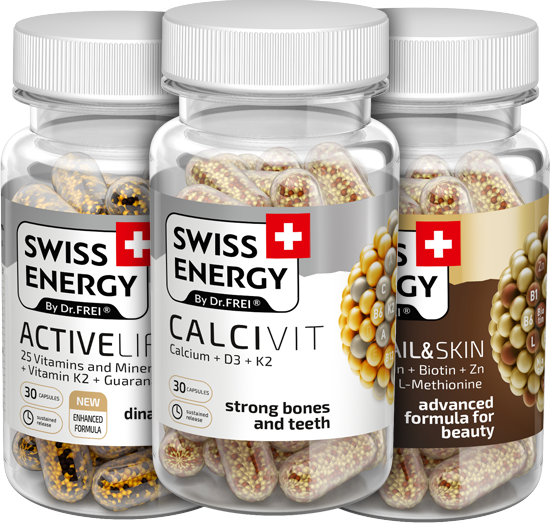 They provide more rapid and full absorption of nutrients in compare with other forms such as usual tablets, capsules, etc. 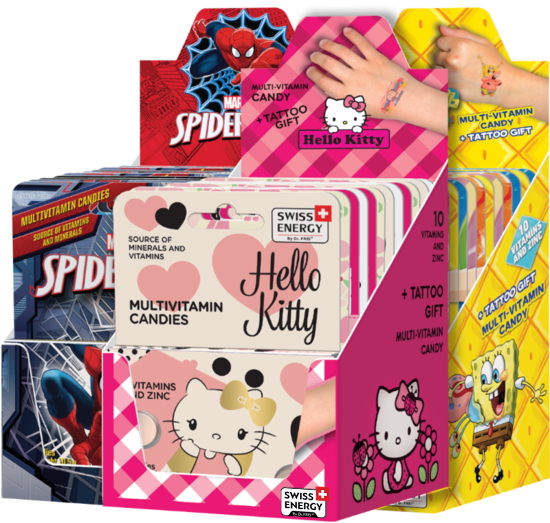 Therefore, the active ingredients start to affect at once and their efficiency increases significantly.